The American space program has produced hundreds of beautiful images of humanity’s explorations in space. 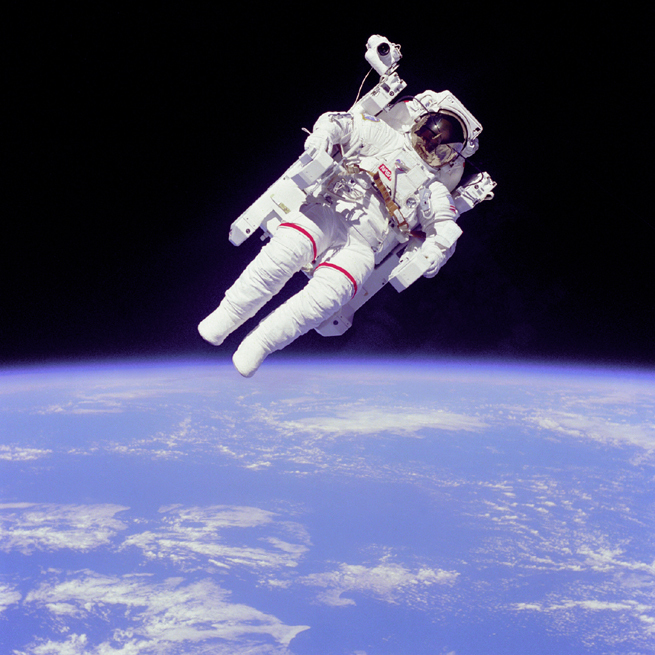 Wearing a nitrogen jet propelled backpack, Astronaut Bruce McCandless II floated freely in space farther away from his spaceship – 320 feet – than any human had ever ventured. The backpack, called a Manned Maneuvering Unit (MMU), was controlled by joy sticks positioned at the end of the arm rests. Above the astronaut’s right shoulder you can see a still camera mounted on the MMU. GPN-2000-001156 Backpacking. Accessed 28 August 2010.